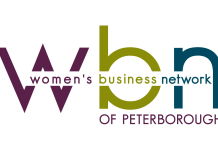 Cheri Anderson is the President of the 2012-2013 Board of Directors of the Women's Business Network of Peterborough. A long-time volunteer of WBN, Cheri will be assuming the role of Past President in 2013-14. Cheri is a dog lover and avid outdoor enthusiast along with her husband Scott. 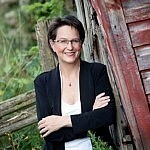 You can follow Cheri on Twitter at @AnderCheri. June 5th event features international keynote speaker Paul Huschilt.